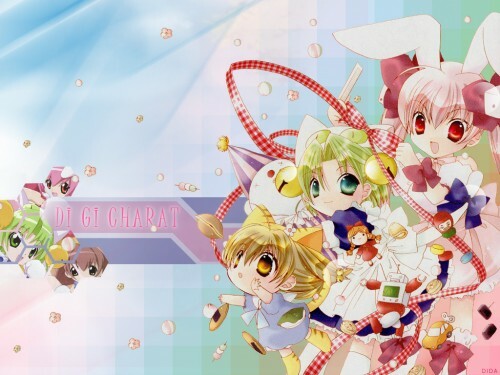 A new wallpaper of DiGi Charat! sooooooooo cute. the layout is fantastic!!!!!! great job, even though ive never seen the show! tiredofwired4 is right, this a very cute walli. The DiGi Charat Characters a so sweet and the layout is nice. This wall is very fitting to the anime. The layout also works (leaving room for my icons)! Nice Work, thumbs up!!!! Wahh! they are so kyuuuuuut~ ^_^ I love em! Very nice wall! The chars are so cute!